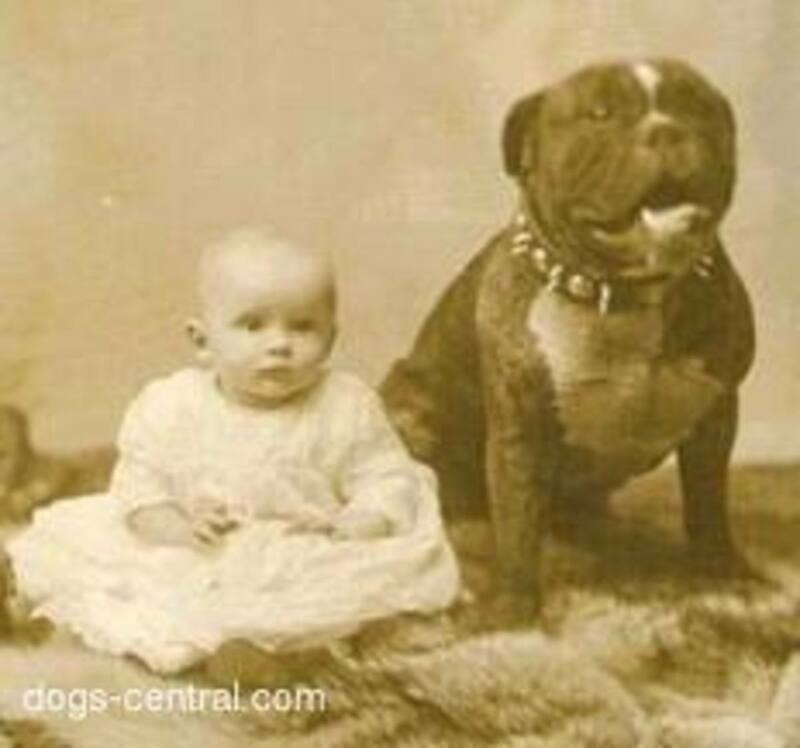 In the early part of the 1900’s, the Pit Bull Dog was known as the “Nanny Dog." Why, you ask? If you wanted to keep your children safe, the pit bull was the most faithful and loving dog of any dog breed, especially with children. They were strong and loyal and loved children. If your child had a pit bull dog as a pet, you felt that they were safe. So what happened? Ironically enough it is the wonderful qualities of the pit bull that have attracted it to the “criminal element”, which have victimized this wonderful breed of dog. The Pit Bull breed is strong and very intelligent. They are loyal and courageous. Their main goal is to please their owner. Yes, they look tough, but they have not been referred to as the “Nanny Dog” for almost 100 years for nothing! At one time the pit bull dogs were the most beloved dogs in England and the United States. At one time, our daughter had a pit bull dog, her name was Lola. (Ex-husband now has Lola.) I was really quite upset with them for getting this dog. However, was I wrong! This is the sweetest dog you could ever want. She loves everyone and her best friend is Audi. Audi is a little Boston terrier, less than half her size. I never worry about the dog being around the grandchildren, Lola is actually very protective of them. Here is a little information about the American Pit Bull Dog that was once known as the “Nanny Dog." Hopefully, this information will dispel the bad reputation that all pit bulls have acquired. The most common breed referred to as the pit bull dog is the American Pit Bull Terrier. It is actually a cross between terriers and a breed of bulldog. These Pit Bull Terriers were first brought to the United States in the late 1800’s from Staffordshire, England, where they were initially bred. There are actually two strains of this breed. The first strain was originally used as guard dogs and for dog fighting. They were bred for stronger and stockier bodies. When they were brought to the United States and dog fighting became banned, there was another strain of the pit bull dog developed. It is a more mild mannered, smaller framed dog and was used to hunt, drive livestock and as family pets. The pit bull was actually the symbol of American strength and courage during World War I! Unfortunately, the wrong kind of people are still finding the first strain of the pit bull dog attractive as guard dogs for illegal activities. They are stoutly built dogs with square heads and firms jaw lines and a very ominous appearance. In the wrong hands, the pit bulls are trained to protect their owners during illegal activities such as drug deals. They are trained not to let ANYONE come near their owners or their property. Many of them are not being trained to warn their owner or to keep the stranger at bay, they are being trained to attack and kill whoever or whatever comes near. They are being trained to be aggressive. The methods by which some people are training their pit bulls dog are deplorable! They are chained up, taunted, beaten and starved. You can only abuse an animal for so long before you do manage to change their personality. They are being trained by using other people’s pets as bait. Cats, small dogs, rabbits, etc. are being given to them as bait. When you have beaten and starved a dog down and then throw him a rabbit or a cat, what do you think he is going to do! They are being taught to fight other dogs and given smaller dogs as practice. If they don’t kill their opponent, they are beaten severely. One of the most tolerant, patient, gentle breed of dogs is now being portrayed as the most dangerous. Because of this bad reputation, at least 6,000 pit bulls are put to death every day, by far the highest number of any other breed. Before the pit bulls were being notarized as the most aggressive dog breed, it was the Rottweiler, before that, it was the Doberman and the German Shepherd. Each time, people wanted to enforce laws to ban these dogs. Each time, this notoriety was proven wrong. It’s the same with the American Pit Bull. In temperance tests, given by the American Temperance Test Society, the pit bull rated as the second MOST TOLERANT. The most tolerant dog breed was the Golden Retriever. The least tolerant was the Chihuahua. It has been said that the pit bull’s jaws will lock on and won't turn loose. It has also been stated that they have the most powerful bite among dog breeds. Neither one of these statements are true. Pit Bull’s jaws do not lock and the dog with the most powerful bite is actually proven to be the Rottweiler. I hate to see anyone or anything get a bad rap for no good reason. Pit bulls are terribly misunderstood and I just want to give everyone the real facts about a wonderful dog breed. So before you judge a dog by it’s looks or it’s breed, maybe you should judge the dog by it’s owner! Do You Believe Pit Bull Dog are Naturally Aggressive or Trained to be Aggressive? There are good and bad dogs in any breed. It all depends on how the dog is treated and trained. I'm going to share some positive stories about the pit bull dog and show how truly heroic they can be. Learn more about the Labrador Retriever. Find out where they originated, their description, temperatment and skills. You will understand why the Labrador Retriever has been know as “the most popular dog breed in the world” for many years. I've had them since before they were a year old I believe that proper socialization and training is important same as any other dog. They love to go on small hikes with us too. My dogs are very gentle with my young children and my kitten, the even get along with the rabbit, hens and the turkey. I stand with bully breeds till the day I die! Jane, only part of what you said is accurate. Yes, Pit bulls were bred for bull baiting, but once that was outlawed in the 1800, people started using their pit bulls for dog fighting. The pit bulls ALL THE WAY deserve the light. it wasn't their choice to fight. And, I did a little research too, it Pit Bulls were and are known as nanny dogs. Pit bulls were not bred for bull baiting... That is what bulldogs were for and after bull-baiting became illegal they bread the bulldog with a terrier (I cant remember specifically what kind) because a terrier will move around more quickly and bite Retreat and buy it again where the Bulldog would simply stand its ground and take it which is why it was good in Bull baiting. the myths about the nanny dogs came about because of the pictures as you see here of them with children to try and debunk the myth that they are such a terrible dog to have... Most of the problems people have from pitbulls biting, maintaining, or even killing have more to do with the human aspect with either breeding or simply the ignorance of how to deal with them properly... It is not a very wise idea to leave any child alone unattended with any dog even though there are many dogs that would never do anything at all To hurt anyone but is that a chance you really want to take? As someone who's worked with a good handful of different dog breeds, I volunteer at the animal clinic my cousin works at, the pit bulls that I've worked with have been the most pleasant experiences with dogs I've ever had. Pit bulls are not inherently bad, they aren't predisposed to negative or bad temperament. I've been bitten by more small dogs like the bichon frise (three times, each a different dog), maltese, and chihuahuas. Never in my life has a pit bull intentionally hurt me when I present no threat to them (a few scratches from some rough housing but I love playing with dogs). These dogs are so loyal, they're smart, and they have so much love to give you, they just want to make you happy and a scratch behind the ear and tummy rubs goes a long way for them. Pit bulls were NEVER used as “nanny dogs.” There’s no evidence to support this claim, and it’s a myth that’s been repeated numerous times. Pit bulls were actually BAIT dogs, used to bait bulls, (hence the name), and large animals. They were bred to be more aggressive, as they would need to be fearless to enter a pit with a large, dangerous bull. Pit bulls have a disproportionately high rate of attacks compared to other dogs. Also, studies show that the majority of Pit bull owners are considered high risk people. These are people who frequently engage in risky behavior, (fighting, gambling, drug use, criminal activity, etc.). To perpetuate the propaganda that pit bulls are “cuddly,” and “good-natured” is to endanger human lives. Not all pit bulls are bad, no, but most have a poor disposition. They’re not highly trainable, (a common trait of terriers), and are stubborn, and headstrong dogs. The majority of attacks involve pit bulls, or pit bull mixes. Even PETA supports sterilization of these dogs, and acknowledges them as dangerous. Rottweilers rank a distant number 2 on the list of dogs most involved in attacks. Pit bulls have overtaken EVERY dog breed on that list. Pit bulls are not ranked as number 2 on the list of most tolerant dogs. There are many breeds above them. To even compare a benevolent Golden Retriever to the often aggressive pit bull is ludicrous, and misleading. Pit bulls are most frequently put down in shelters, because they are more frequently given up by owners who become fearful of their own safety, and the safety of their families due to the unpredictable natures of pit bulls. While a pit bull cannot “lock,” as some believe, they bite and shake, which is extremely deadly. They have disfigured and dismembered attack victims more often than not. If you love a pit bull, that’s fine, but STOP spreading false information, and painting them in a light they don’t deserve to sit in. They are dangerous animals, (considered lethal weapons in some places), and should be eradicated from our society, or left only in the hands of licensed professionals. I think they can be trained and some are naturally. I used to only blame the owner and not the dog but if any other dog can snap without warning, so can pits. I raised mine since a puppy and the only trouble I had with her is something another dog caused. My friend had 2 of he s since babies, the minute they were old enough to get she got them. Those dogs were never mistreated and spoiled like any other dog owner does to their pets. No signs of aggression or any other issues until the day the roommate came home and found the dogs killed her. That was the moment I realized it's not always the owner. If Michael Vick's can be rehabilitated and adopted out, it's not far fetched to think that a dog can snap with no warning, but they can. Katie was proof of that. It made me so weary of being around mine for awhile but I got over it and she died due to cancer when she was 10, and I miss her so much. But I realized I was jaded and misinformed. Yes most will get through their life with no incidents but some will, and that is something all dog owners need to take into account including those who own pits. It seems those are the only dog owners who guarantee their dog won't do harm. For their sake I hope they're right. My cousin thought that too until hers bit me in the face and nearly took my eye out. It was just months before I was sharing my bed with her and had been around her since she was a baby. I never expected that to happen to me either. But sh** happens when you don't expected so at least be vigilant and hopefully your dog won't kill you when you get home and feed them like hers did. Ok to the guy who is in martial arts and was attacked by two pitbulls...I'm so sorry for you!! That sounds like a nightmare come true and I am sure it was terrifying!! But it sounds like you are just so filled with hate for this type of dog because of what happened to you specifically that you are focusing only on the types of pitbulls who have "turned" and not on the SO MANY perfectly behaved, loving, caring, "man's best friend" ones!! Every pitbull I've ever known in MY life have been the sweetest most loving dogs..I've seen so many OTHER breeds flip out on people, as well as having been attacked by 2 CHIHUAHUAS myself..it was scary(yes nothing like the strength of 2 pits but if they could have done the damage they would have-they we're so angry like they were seeing red) but I don't only focus on that negative experience and think all Chihuahuas are evil or bound to turn!! Just please tone down the hate..some PERSON created those "rabid" pit bulls and that PERSON is to blame for the hate abuse and torture that I'm sure is what pushed them to that awful behavior...like a previous post said..some human has "traumatized" those animals into that life..blame US not THEM!! If they are shown the right amount of love and proof that they can TRUST us as their owners/superiors, then they will be the most wonderful man's best friend you could ask for and will follow you to the end of the earth! If I could attach a pic of my sweetheart 60 pound pit in my lap right now I would! Please find it in your heart to forgive those animals and let that hate go. Peace Love and Dogs!! Um, pit bull breeds were never referred to as 'nanny dogs' and they were not popular children's or ladies pets. I can't find a single historical reference to pit bulls having this nanny dog reputation. I don't hate pit bull breeds, but I don't like bullcrap arguments and lies. It's harmful not only to kids but also to pit bulls, because they are the ones put down in the event that a family puts their trust in their 'nanny dog' and disaster occurs. They aren't bad dogs but neither are they ideal children's pets. I believe that Pitt Bulls are a big strong dog that will do anything to please their families. This is all very good most of the time. Obviously this is really bad in cases of dogs being trained to attack or fight. However, there is an additional issue. Dogs are trained by their family whether or not the family is intending to train the dog. If a family member frequently shows pleasure at violence, or regularly acts violent in front of the dog, that dog could easily pick up the same behavior. This is why viscous dog laws should focus on several points, none of which are Breed. 1. Size of the dog: Large strong dogs do more harm when they bite. Pit Bulls are large, strong, dogs. 2. History of the dog: Sadly, like humans, dogs subject to severe psychological harm may never recover. Simply put, such dogs cannot safely be kept in an urban or suburban environment. 3. History of the Owner/Family: This is one few laws have been made based on, despite it's importance. Lawmakers seem very reluctant to pass laws based on this, despite how much it influences dog behavior. The pit is victimized first by owners who leverage their strength for evil purposes, then by mis-informed folks who feel every pit is a danger to life and limb of all around them. 86% of all fatal dog attacks are by non-neutered males. Pits are found to be more tolerant of mis-treatment (before resorting to attack to defend themselves) than every dog except the Irish Setter. We rescue only pits and our biggest fear is that ... when they get into the bed ... they are major real estate hogs. Back then folks my country rejected German Shepherd because "they kill"(for it was quite common to spot GPD in dog fights) while I had one at home and he was the most lovable. After all, it's irresponsible and abusive owners that give the breed bad names. "jd" is an ignorant, uninformed individual. I can show, IN PRINT, several references prior to 1960, of the bully breed being referred to as a "nanny dog". It's not a fabrication or a need to 'prop up' the image of the breed, as prior to the introduction of pit-bulls to the criminal element in the inner-cities, their sterling reputation was well-documented. Several notable people owned, and sang the praises of, pitties-including Helen Keller, Mark Twain, Teddy Roosevelt. Petey the pit-bull, of "Our Gang" & "Little Rascals" fame, was required to perform in films, taking direction while surrounded by many children, of which any viewer can plainly see that he enjoyed immensely. Get your facts together 'jd', and perform the due diligence before making statements of pure conjecture without being able to support them with substantiated truth. I actually don't think they are 'trained' to be aggressive, I think they are traumatised, because when they are rescued and given time to recover, they'd rather do anything than fight. They are dogs who are scared of everything and that bond they have with their humans is warped by evil people to make them put aside thousands of years of evolution, because all dogs are pack animals, who cooperate. Another thing, pit bulls don't just "turn," as some people say (no dog does). Many people haven't a clue how to read a dog's body language and there are subtle cues those in the know can pick up on, but the majority of people can't. These dogs were probably giving cues the owners didn't know how to recognize and due to that it went from subtle cues to an outright attack. Even many professionals cannot determine what an American Pit Bull Terrier (APBT) looks like. How many here realize that the wide, blue dog with white markings in this article (the dog above the pic. of the white dog), below where it says "American Pit Bull Terrier," is not an APBT, it's an American Bully? Now yes, pit bulls can be dog aggressive, but APBT's and many breeds that fall under the pit bull umbrella are terriers and a good portion of terriers can be dog aggressive. Dog aggressive does not equal human aggressive however. For those of you who believe pit bulls are all dangerous, speak to your veterinarians about it. I can guarantee you that they're not the dogs your vet. dreads seeing walking through their doors the most. As far as breed bans, there is much money to be made there. Stereotyped breeds also make headlines...same thing, money to be made. 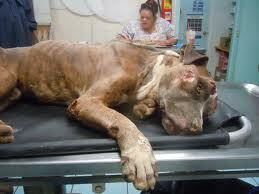 It's been proven that in many areas where pit bulls were banned, dog attacks did not go down. Before you approve of breed bans (BSL) keep in mind that the more popular a breed, the more people who jump on the bandwagon to breed for money. Now we have once sweet breeds like Labs and Golden Retrievers who are getting high bite rates due to indiscriminate breeding. Hollywood is also responsible...Cocker Spaniel temperaments declined after Lady and the Tramp, Dalmation temperaments declined after 101 Dalmations, Collie temperaments declined after Lassie, etc. Your beloved breed may be next when it comes to bans. Besides, there are FAR more sweet pit bulls than not, figuring the numbers of them across the world. Dogs are what you make of them. I have owned many breeds, pit bulls included...it's wise to always do your homework. Get a dog from a reputable source (if you rescue a dog, try to rescue from an organization that does temperament testing or offer to foster the dog and have it temperament tested before adopting...train yourself as well and this will help a lot too), train your dogs properly, never leave ANY breed alone with a young child (even small dogs have maimed and killed children! ), learn canine body language and watch for cues (learn those subtle ones! ), understand that not all dogs like other dogs (and that goes for any breed) so they're not abnormal if they don't want "doggie friends," be a responsible owner...make sure your dog is properly contained - and leashed if it's out and about with you, put your dog through a canine good citizen training course, keep your dog under control (if you can't, don't ignore it, seek help), don't let your dog roam, neuter and spay your dogs, if you have a dog that's aggressive with you or strangers (ANY breed...seek the help of a professional and keep that dog away from people), if you have a dog that's a problem with aggression with other dogs - keep it away from other dogs, muzzle it when you're out with it and see if a trainer can help (with some dogs it's so ingrained in their breeding it can only be managed) and realize, if you have a dog that doesn't have it's wires crossed right (is badly bred) it may not be able to be rehabilitated (and as I said, this goes for ANY breed, or mix for that matter) and you must do the responsible thing. Bottom line is that problems with dogs usually has more to do with the owner/s than the dog itself. I don't know where people get their info. from that pit bulls were not nanny dogs. Yes they were. Pit bull is a blanket term. Staffordshire Bull Terriers were considered nanny dogs, as well as American Pit Bull Terriers. And no, pit bulls were not originally bred to only fight...they had MANY uses. As far as them being deemed vicious with people, they're not naturally so. People who use them to look bad take uneven tempered dogs and breed them with uneven tempered dogs, thus resulting in dogs that are nasty with humans. This can be done with ANY breed however. Throughout history there have always been "bad" dogs...once goofy Bloodhounds were said to be vicious. In my time it's been German Shepherds, Dobermans, Rottweilers and now pit bulls. The media pushes this stereotype, but what they don't tell you is that there are many breeds mistaken for pit bulls that were not pit bulls at all. There are also many breeds that look like pit bulls. There are tests online you can take to prove just this fact. I have been a groomer, a vet's assistant, a trainer and a kennel manager...pit bulls were not the dogs I had most issues with. There is no such breed as a pit bull. 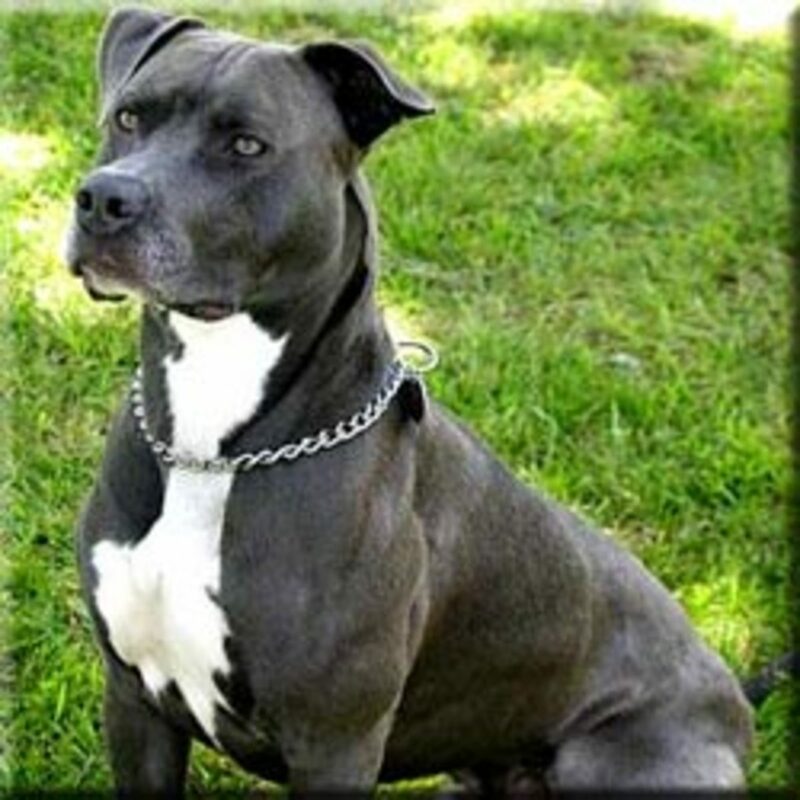 It is a term used to describe various breeds, most commonly the APBT. But please, stop referring to it as a breed. I agree with all your comments re dogs being a product of their owner, and am a bit Stafford lover. In fact, I'm fairly sure it's English staffies that were the breed referred to as the nanny dog (and yeah, I guess some ignorant people may group English Staffords into the pit bull category). But anyway. Appreciate you may have done some research, but they are most definitely not a 'breed' as such. This is really an interesting hub and the comments are almost as interesting. I think all breeds of dogs are here for us humans to have companions or pets or both. voted up ++ and shared. I didn't know pits used to be "nanny" dogs. How animals are treated tremendously impacts the level of trust they place in humans and how they view the broader world. It's so sad that the criminal element has corrupted these poor dogs' reputations. I love the pictures of Lola, Audi, and Garfield snuggling. Voted up and awesome! My baby is the sweetest baby and most protective dog I've ever met. I wish I could submit a photo of my pit and my 3 year old. He lets her do almost anything to him and not even care that she kicks him out of his own 'room' cage. She can sleep on him, jump on him anything short of hurting his special area, then he moans, whines or cries out and walks away from her after giving her a dirty look like, "Why?". Well, I could say more but I won't, but I do wish you the best. Take care. Hello aikikenjitsu. Unless someone's comment is hateful or nasty, I will approve it. Everyone has their own opinion and I value them all. What the "truth" is to you, may not be what the "truth" is to all, but it is your right to say what you think. I have done much research on the pit bull breed as well as other breeds. I have spoken to many people who have owned pit bulls and well as some that have been "confronted" by them. I, myself, would have been attacked by a pit bull had it not been for the chain that kept him mere inches away from me. Unbeknown to me, I was in "his" territory and he had been taught to be aggressive. Yes, that scared the hell out of me! I have also been chased my two German shepherds that were like something out of a Sci-Fi movie, teeth gnarling and slobbering as they chased my back into my house. There was no reason for them to do this as I had simply walked out the door of my house and they climbed a wooden fence from across the street to attack me. Luckily, I had not walked very far from the door and was able to get back inside quickly. To find out later, they too had been trained as attack dogs by their owner. I have also been chased and bitten by a boxer. One of my sons was attacked by a dalmation, for no apparent reason. I doubt if you will place this on your site. I’m sure you do not want the uneducated public (what few that are left) to read it for the truth. But you have read it and that’s important because it may get you on the road to real deep truthful research. The saying “Those who are so blind that they refuse to see the truth,” fits 100% the attitude of people that think Pit bulls are harmless adorable creatures. There are pages and pages of negative truthful information on Pit bulls, in every media possible, but only for those who wish to truly see. 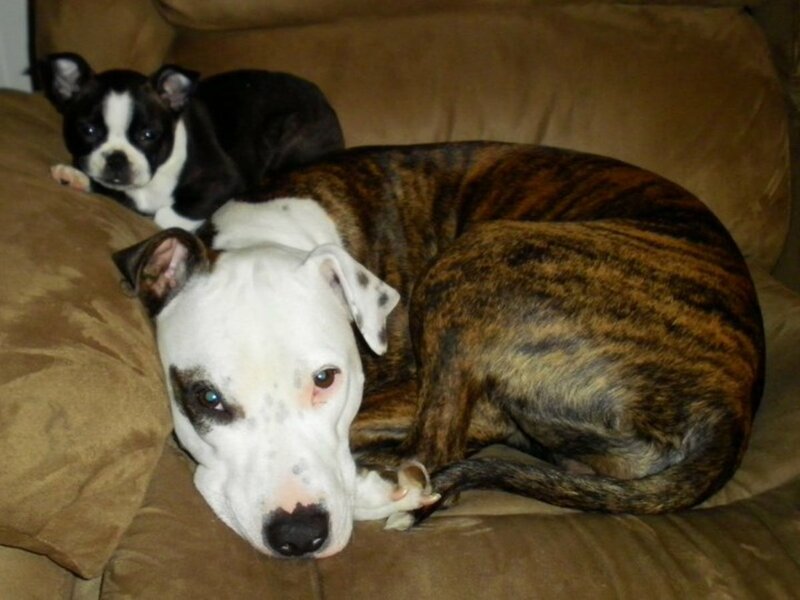 One more truth: Many states are pushing to have a bill enacted to out law Pit bulls and many municipalities already have prohibited people from owning Pit bulls or if they do, they are charged up to $500.00 a year to keep the potential vicious animal. A brilliant hub on a wonderful breed of dog. Thank you for sharing this gem which leaves much food for thought. Great info. Having owned and loved an half pit Bull mix who loved people and especially children I do feel the breed has a bad rap because of the reasons stated. Any dog can become vicious if mistreated. That is a sad statement about people....not their dog. I am surprised that Pitbull's were considered as nanny dogs before. I used to be an owner several years back. I have first hand experience that they have distinct character to attack viciously when provoked. But they are true and loyal to the master. They will protect you, especially when they are trained to "guard". Informative and interesting article, voted up. I love your last line. It is pretty amazing how much dogs love people and attention for people. Dogs seem to be put here on Earth as a great companion for us. Maybe they are here to teach us something important about being more accepting. Maybe they can teach us something about the way abuse and trauma can damage anyone. Engaging writing! I couldn't agree with you more. Thank you for your defense of a good dog. Dogs... of ANY breed are all the same.. they all have their own personality and their own quirks.. I have been attacked by more little dogs than I care to admit and never by a pitbull. On the same note what happed to rottweiler's being terrible dogs? My sister has 3 kids and 2 rottweilers.. sweetest dogs in the world that always looked out to make sure they didn't knock the kids down. This Pitbull bashing will soon go away just like it did with rottweilers and it will be a happier day. Unfortunately we will still never be able to live in a rented place with one. Hello Kathleen! I'm so sorry about you dog! The only thing I can think of is maybe the neighbor was a little "too comfortable" around the dog. The dog knew you weren't home and thought he was protecting the house. 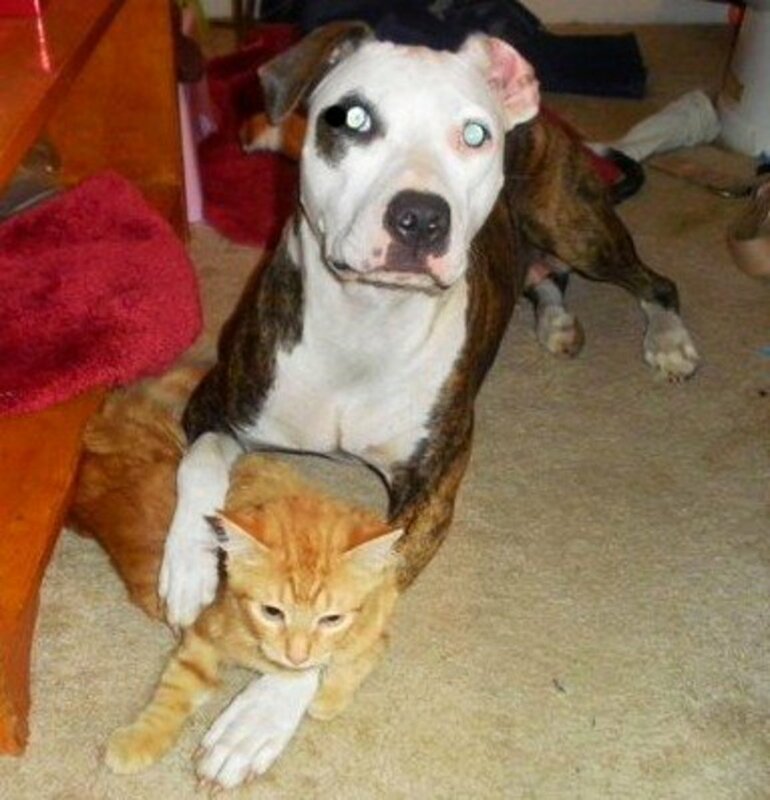 Pit bulls are very protective. Again, that is so sad that they put the dog down. I'm so sorry! Thank you for stopping by and leaving me with your story. We were given a puppy that was supposedly a yellow lab mix by a friend of my son's. We were the dog's one and only owners and treated him with the love and care we showed all our pets over the years. Turned out he was a pit bull. A more loyal, easily trained dog we never had - until he bit our neighbor who had come to feed him while we were away. He knew the neighbor and had seen him in our yard many times. The neighbor required stitches and the police report from the ER reached our homeowner's insurance. They threatened to cancel our policy because of the dog bite. Animal control also came to check on the health of the dog because of the police report and of course the dog bit the stranger. Because of the two incidents the county put the dog down. I don't know how to explain the dog's behavior, at least with the neighbor, except for his breeding. Thank you for this awesome hub! I've known a truly loving pit bull myself and I hate that they have this bad rap about them. It's how they are raised that forms their personalities, not their breed. They aren't vicious dogs at heart and I can't wait for the day where they'll earn back the Nanny Dog title again. I had a pit bull named jake before I split up with my ex and he took him, he wasthe best dog ever and great with the kids. Great hub voted up. Hi sgbrown. I really enjoyed your hub - very interesting. You don't have to post my comment, because I just wanted to point out that your title says 'Once Knows as the Nanny dog" instead of "Once Known as the Nanny Dog" and it seemed a shame for such a well-written hub to have a typo. Hello Grinning Gremlin! Yes, you're correct. The Staffordshire Bull Terrier was a cross between the Old English Terrier and English Bull Dog breeds. 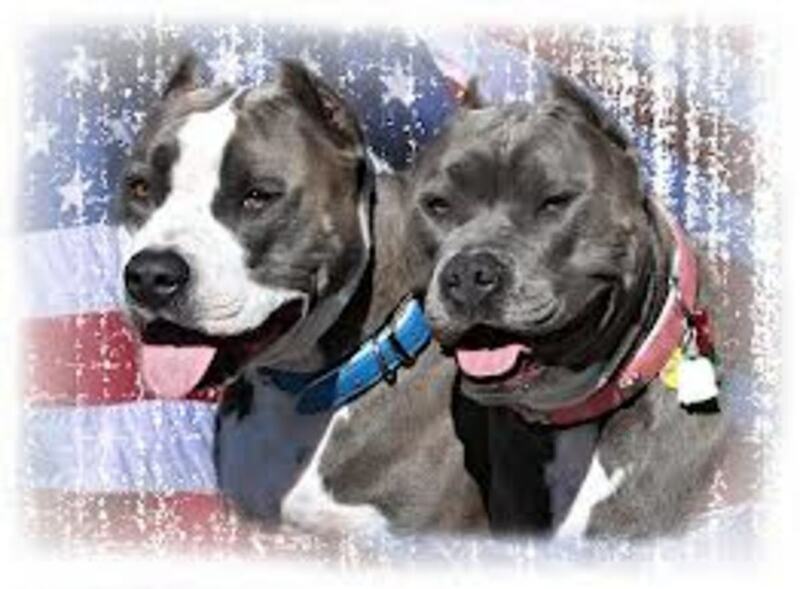 It was after they came to the US that they were referred to as the Pit Bull and are only recognized by the AKC as the American Staffordshire Terrier. I am so happy to hear that you have rescued one of these dogs and given him a good home. His story is so sad. There are so many pit bulls still out there that need help. I really believe that dogs understand and appreciate the fact that they have been rescued. I'm very glad to hear that your dog, (I wish I knew his name), is doing so well. Pit bulls are wonderful dogs if treated right. I'm nitpicking here, but technically the epithet of "Nanny Dog" was applied to the Staffordshire Bull Terrier, not specifically the pit bull. The Staffordshire Bull Terrier, often called the "Staffy" is the breed of dogs from which pit bulls originated. Having owned both, I can say that there is very little to differentiate the two, outside of the difference in size. Staffies are smaller, pit bulls larger. Temperament the same, same levels of exuberant affection. As I write this my nine year old pit bull rescue is sleeping in my lap. It's become trite to say it at this point, but its how the dog is raised that has a huge effect on how the dog acts. Any dog can become aggressive or fearful. My dog was a rescue. When we got him, he was emaciated - we could count each individual vertebrae in his spine. The people before him has neglected and tethered him. He had never been for a walk, so we had to teach him how to walk on a leash. He didn't know his name and didn't respond to verbal commands for the first three months we had him. Also, because of the way he was tethered (with a pinch collar around his throat, if you can believe it) when we got him from the pound his neck was infected and covered with sores. So we had him on antibiotics and painkillers for months, and couldn' teach him how to walk with a collar -- instead we had to use a chest harness. Meaning that he pulled. A lot. He was high, in pain, and had no training at all. He was terrified of bicycles, skateboards, and trailers. Four years, and a lot of time and effort later, he walks by my side, response to commands, and is still by far the most affectionate dog I've ever had. Which, was never a problem in the first place. Even when he was sick in the pound he was incredibly affectionate. TLDR: Pit bulls are great dogs, get a bad rap because of imbeciles who don't treat them with the love and respect that any animal deserves. Good job presenting some information here. To me, no breed is greater than a boxer. But I have fond memories of my own concerning a pit bull named Simpson. When I was eleven years old, I would meet him every day when I went to see my friend, Leslie. It seemed that this dogs greatest ambition was to either lay in a batch of sunlight and snooze, or to follow us around hoping for a game of some sort (usually tug-of-war or catch.) Never once did I or any one of my other friends who spent time around Simpson ever feel unsafe around this dog. Thank you for trying to dispel the misconceptions and paranoia surrounding pit bulls. They are a wonderful breed. Pit bulls are a misunderstood and tortured breed. I have owned 3 Pits and they were all such little lovers. It saddens me to see when they or any animal for that matter are abused and are bought because they are a status symbol or popular in media culture. I appreciate you writing the noble history of this beautiful animal. I grew up with Pit Bulls, we had 3. Angel, Lady and Red. Red was mine and he was a gentle giant .. very loving towards me but protective too. I was such a little shrimp back then that I could ride on his back with no problem lol! The only thing was he loved to kill my dads chickens so my dad eventually gave him away to a friend. I still haven't forgave him for that. I have thought about getting a baby pit and continue that tradition of growing up with a pit, my son is now 4 but I think I'll wait til we get back home first. New England is super cold and I rather raise a pup to know his surrounding and home. This is not our home just a temporary one, can't wait to get back to Texas! Nice Hub Voted Up! I really enjoyed reading your hub. 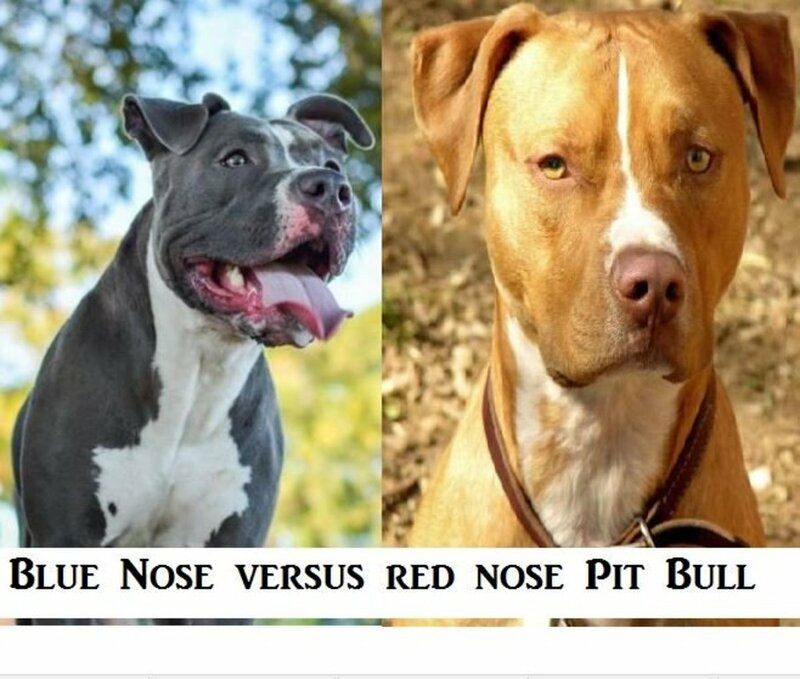 Its good to read true things about pit bulls, rather than things that aren't true. They sound like a real interesting breed of dog. There sure have been a lot of stories about them in the news for years. Criminals should be judged--I agree--and not the dog, which is mistreated to begin with. I voted up! i have two Pitt bulls one is a female blue nose and the other is her son and hes a black brindle. one day my niece came over and we were all in the same room with the male Pitt bit her on her tummy because she made him nervous, the female Pitt came in and jumped on him for being mean to her. two weeks before the incident i had said that the female would protect any child from harm and then she proved me right. Pitt bulls are sweet as long as you teach the children and dog to be calm because the male dint know her and she was scared. I have had pit bulls for most of my early life...they were the most loving and devoted dogs I have ever had...great dogs for the family!!!! We adopted a beautiful 3 month old white spotted pitbull female fdom the shelter a month before we found out I was pregnant with our son. Everyone was very concerned especially my parents. That was 2 and a half years ago. Chata has grown into a sweet and affectionate dog who loves our son. We have taught him to be gentle with her and our cat which is important with all animals. An important factor with any dog is properly socializing them so they have nothing to fear. I'm so glad to have her in our lives. Great hub. I took in a large, male pit bull mix stray and have never regretted it. I have a few friends and neighbors who questioned my sanity. George is gentle with children, babies, cats, puppies and people. Other dogs . . . bigger ones in particular, bring out the beast in him. Perhaps he thinks he is protecting me. I do an awful lot of crossing the street to avoid other dogs. My grown daughter talked me into getting a pit. We were at a fleamarket one Saturday and a guy was selling pit puppies. We took his phone #, and a week later, became the owner of a male pit, which we named Chaz. He was a funny and very sweet dog! I was quite amazed at his temperament. 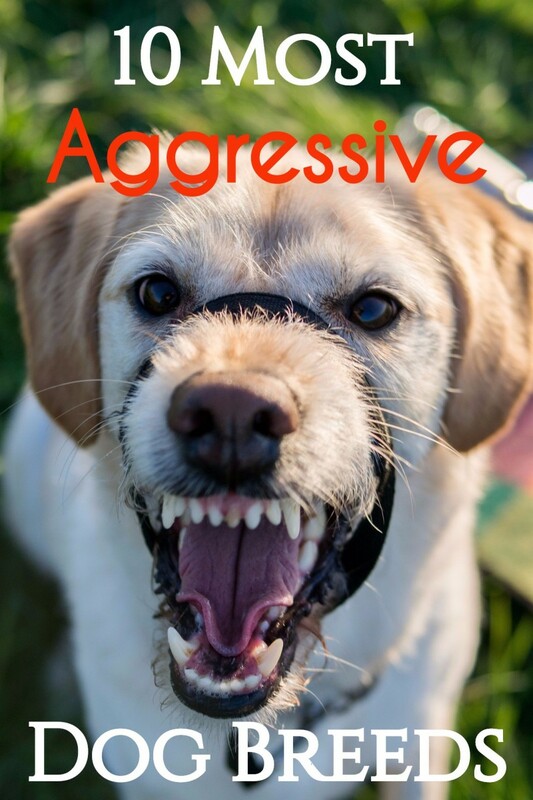 Any dog, purebred or mixed, can be trained to be aggressive. It is beyond horrible that there are people out there who own pets just so they can use and abuse them. I would love to see them suffer the same fate they impose on poor, innocent animals. Great, informative hub! I couldn't agree with you more about the sad fact that the breed of Pit Bulls are greatly misunderstood. I used to have a pit bull, and some people would grab their children and run away if they say me walking him down the streets on a leash! He LOVED playing with children; he was never once aggressive, and it was sad to see people not want to even get near him because of their misconceptions. I do love pit bulls but I have seen both sides of it. One of my room mates used to have a pit named Buck. He was a great job in the house. He was very loving too. But he could not be around any other dogs. I saw him attack several dogs. Once he had a job by the neck, his owner picked him up and was punching him to try to get him off but he would not release. It wasn't until they plugged his nostrils that he let the other dog go. My room mate eventually had to get rid of him. On the other hand, my neighbor had a pit/lab mix named Juliet and she was a sweetheart. She was fast but she wasn't aggressive. She could jump a 5 foot fence too it was pretty impressive. She was fine around other dogs unless they were aggressive towards her (which is true of most dogs). Unfortunately, he owners had to get rid of her too. After they had a baby, she was a nervous ninny. If the baby cried she would go crazy. She wouldn't let anyone near the baby. She was very over protective and they were afraid she would accidentally hurt the baby. They are a unique breed and I think really misunderstood. They are Caesar the Dog Trainers favorite breed. I think if they are trained correctly they can be really great dogs. I too am an owner of an amazing rescue red nose Pitbull and she is hands down the best dog! At first I was very leery of her because of her breed but oh how I was wrong. We have three children and Lady (our Pitbull) has never been aggressive or temperamental towards them or anyone. She actually is submissive to our cat! The cat rules the house :) Lady just whimpers and whines hoping the cat will play with her! As Turtlewoman stated, our dog too is not a guard dog but she will bark to let you know someone is there. Thank you for a great and informative hub! Pitbulls definitely have a bad rap but with hubs like this hopefully it can change. Thank you Raza Khan! I will check out the link. Have a great day! Thank you for writing this piece. I have worked with a variety of dogs for many years. I have met the good, bad and ugly of quite a few breeds and truly believe that most issues dogs have, come from their environment and the people that raise them. I have suffered a couple of bites and neither were from Pits; one was a Chihuahua and the other a Golden Retriever. People need to do their due diligence before adopting or purchasing a dog to make sure they choose the right pet for them. They also need to be responsible in the training and care for the animal. Awareness is the key... thank you for bringing some much needed light to this wonderful breed. The point is that science and studies shows us that education and discipline plays an important role, but genetics plays a big one as well. 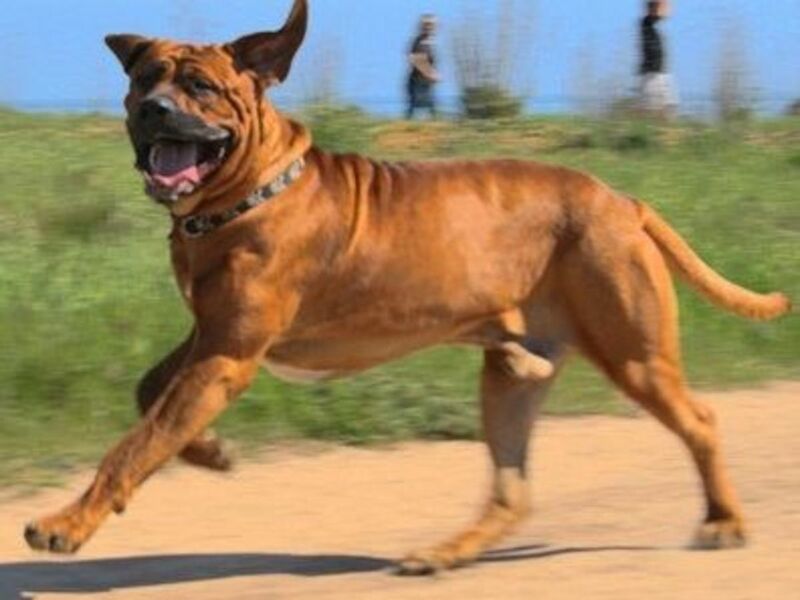 In certain breeds, genetics are so strong that you cannot manipulate the dogs behavior. We, humans, have created breeds for certain activities like proteging property, hunting, and etc. I have a German shepherd and once I took him to my grandpa farm, in the moment he saw the sheeps he ran towards them trying to get them together. Nobody has never taught my dog to do that, but it was in his genes. You can ask any specialist, when you buy a pure breed dog, the first sign that he is in fact pure will be when the dog starts to show some instincts that are natural to his breed. Purebred Labradors will naturally chase down and kill chickens, despite the fact that nobody taught them to do that. Pure breed Miniature schnauzers will be very alert and energetic, even thou nobody trained them to be so. The point is that you can train your pure breed German shepherd to just do nothing when around sheeps or cows, but remember, you did not have to teach him to get the sheep together, it was in his genes. So folks, when you say that your pitbull pet is very docile I do believe you, he is like that because you gave him love, not aggression. However, genes are the explanation why some people die by the jaws of their own pit bull pets, even thou the pets were created only with love. Pitbulls created with aggression and Pitbulls created only with love have both been the villains in dog attacks, killing strangers or their own owners, always with no warning, no barking, just run and kill. That's genes. I too am a pitty owner and we love him so very much. He is the sweetest, most loving pooch. The 40lb mixed mutt rules him with an iron paw. He submits to her demands and does not take a treat unless she approves. He is very protective of his family but is sweet to kind strangers. Thanks for the hub! it reminds me on Daddy, my all time favorite pitbull... (Cesar Milan's dog) very amazing dog miss him so much... i hope you know her Ma'am sgbrown (i can't find your name.. HAHAHA) , he's a model to all the dogs out there. Oh what a wonderful story ;we have had a Staffie and English Bulls in the family and they were both amazing dogs. Thanks for sharing and here's to so many more to come. Hello mythbuster! Thankyou. I did not realize the pit bull dog was once called the Nanny Dog either until I started doing some research on them. I found that fact very interesting. I too hope people will become more educated on these dogs and disspell some of the bad reputation they have. Thank you for your kind comment. Have a great day! Great information here! Although I agree and believe dogs are mostly trained to be aggressive, I didn't know the pit bull breed was once considered the "Nanny Dog." Thanks for writing this hub. I hope many will read and change their minds about pit bulls! Pit-bulls can make amazing pets. I'm especially fond of pit-lab mixes -- two great breeds rolled into one dog. It's sad how much people rely on stereotype, rather than fact, to make their decisions/opinions for them; understandable, but still sad. Good hub. A very powerful advocacy hub. Yes it is true that people train their dogs to be aggressive and dangerous. Although your hub is on pitbulls, it is generally true for all the pets. If we give them love, we get the same in return. I enjoyed reading your hub with great pleasure. Indeed. The most amazing thing is, the golden, and black an tan German shepherds I owned as a kid, were the most beautiful creatures, and we're indeed, my nanny dogs :). It seems to have only affected every white shepherd I am aware of. You have a great day too. Hello cfin. Lets hope that the abuse and mis-treatment of the pit bill stops before that happens. Thank you for stopping in and commenting, it is always appreciated! Have a great day! Unfortunately, just like white German shepherds, the temperament can be bred into them over the generations. The white GS were rounded up and used as attack dogs during many wars at the beginning of the 1900s. Bad owners mean, only the roughest of their species has survived. Those survivors have been used for the worst of sports and recreations, leaving the gene pool rotten and the killer instinct being passed down. Never knew it was once a 'nanny dog.' Agree that almost any dog can be trained to be vicious and mean, and irresponsible owners are often the cause. Interesting hub. Voting you up and informative! ;) Will share. I've never had contact with a pit bull, but I think most breeds have the potential to be good citizens or not depending on treatment they have had. Hello Peter! Neutered and locked away sounds like a great idea to me! Thank you for stopping in. I appreciate your comment! Have a wonderful day! The pit bull and staffie are excellent loyal and intelligent animals. The morons that train them to be aggressive just for their own street credibility are the ones that should be neutered and locked away. Animals give unconditional love and to twist this for your own ends or amusement is disgraceful. That is the best pit bull story I have ever heard! I love it! I hope it took a really long time for them to get home! I bet he was so scared. LOL Pit bulls are great dogs as long as they are treated right. Any dog can be trained to be mean. I hope to make at least a few people understand that meaness is not their nature. Thank you for such a great comment and story! Have a wonderful day!